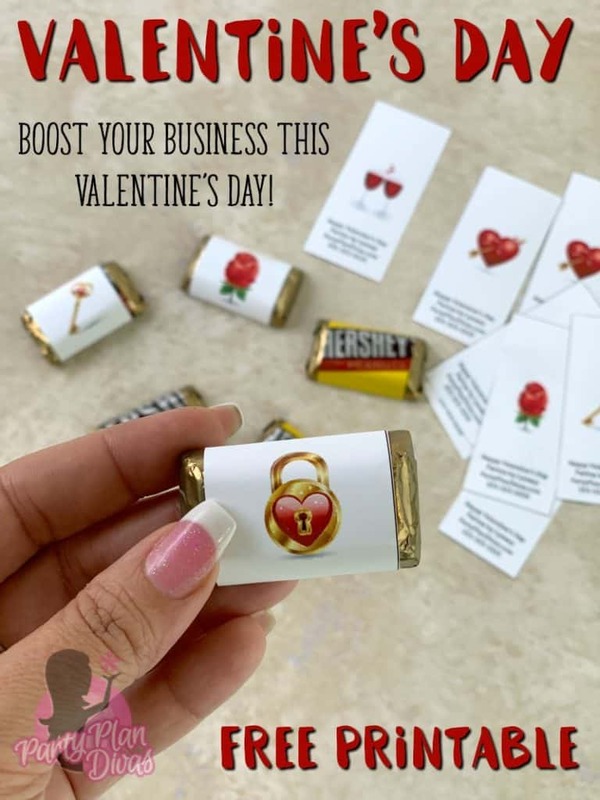 Chocolates are a big part of Valentine’s Day traditions, so why not use this Valentine’s Day Candy Wrapper Free Printable to boost your business while celebrating a day dedicated to love! Our Christmas Candy Wrappers were such a big hit, I thought it would be fun to make them for other holidays too! These Valentine’s Day Candy Wrappers are a perfect fit for Hershey’s Miniatures which you can find virtually anywhere, or buy in bulk from Amazon to have them shipped right to your door! 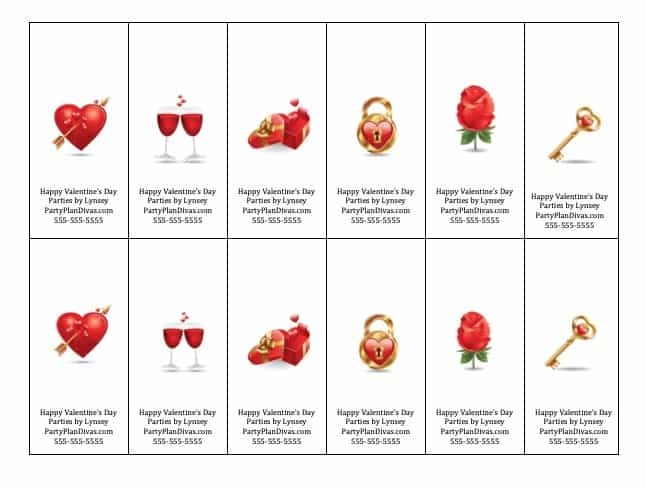 Check out these Direct Sales Valentine’s Day Printables to motivate your team this Valentine’s Day! 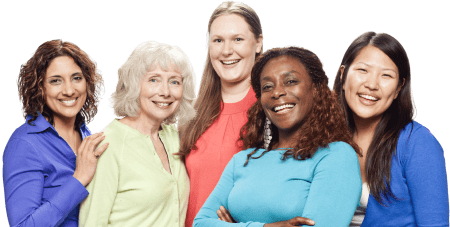 All you have to do is download this free printable to your computer – change your contact information – and print! Then gently cut them out, wrap about your little candy bars, and hand out to everyone! These are terrific marketing materials for vendor events, expos, and for your daily gardening! Enjoy! As always, if you love it, please share with your Sister Divas!